Why Should You Get an Indoor Air Quality Test in Toronto and Mississauga? Mold reproduces with mold spores which are microscopic particles or seeds that float weightlessly in air. Invisible to the human eye. Mold removal is not something to be taken lightly and it can be dangerous. The proper protective clothing such as P100 filtered mask, suit and protective gloves should be worn. Our typical mold inspection: Interview with client When the client calls us for a Mold Inspection they have some mold related concerns or areas of concern in the building that they. Suspect Asbestos? If you suspect asbestos or a home inspector found something that may be asbestos you need to have it properly tested. Air sampling with specific asbestos testing equipment.  Welcome to our website, “The Mold Guy” We are very proud of our work in Toronto and the surrounding GTA performing our great Mold Inspections, Air Quality Testing and Mold Removal services which we have developed with years of practical experience and ongoing education. We are a IICRC Certified Firm (the gold standard of restoration) Our goal is to focus on our core business of Mold while providing great service above and beyond that of our competitors. A team that strives to save you Time, Money and most important, disruption to your personal life or place of business. At The Mold Guy we’re not satisfied, unless you are! The Mold Guy prides itself in being your ethical Mold Inspections and Mold Removal professionals for Toronto and the surrounding GTA. See what past customers have to say! Back in the day we needed a cooler humid room for hanging cured meats, storing preserves and letting wine ferment. Many years past and there are few who use the cold room as intended as we have many new conveniences such as the deli counter for our cured meats. Not only have we outgrown the cold room but many have forgotten its intended purpose and re-purpose the room in ways it was never intended for. Cold rooms started with dirt floors but now we use concrete, the room is a six sided concrete box with a door, typically located under the front porch or back deck and some have a small vent to the outdoors. The ceiling of the cold room is typically the front concrete porch. Concrete by its very nature will transfer moisture from one side to the other making the cold room a nightmare to waterproof therefore a room not meant for re-purposing. The cold room gets very cold in the winter months and as such should have a properly insulated door. The door should be weather stripped on all four sides to prevent heat getting into the cold room and the cold from entering your basement. When heat enters the cold room the humidity will condensate on the cold ceiling, it will freeze then start dripping causing cold room flooding. Many new home owners use the cold rooms for storage unaware that the cold room can be a mold producing monster. To prevent mold growth never store anything organic and porous in the cold room. The other common issue with the cold room was a function of its construction. When the contractors needed to pour the front porch concrete which was also the cold room ceiling they used wood to form the floor. After the concrete had cured they should have removed the wooden forming boards but few did. If you have wood at the ceiling of your cold room it will most likely require removal. It is an organic material that mold will grow on. Have a quick look in your cold room right now and see if you are using it correctly. If you need further advise call the office 416-333-2999 and they will have a qualified inspector check it over for you. Mold Removal, a Thing of Beauty! Mold Inspection, the Good, Bad and the Ugly! At The Mold Guy, from top to bottom beginning to end, taking pride in what we do is our standard. We really do care! We’re not going to send anyone to work in your home or business that we wouldn’t want working in ours. We believe in taking care of your home as we would take care of ours. 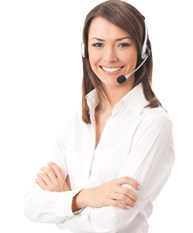 Therefore as a company, we know you are getting the highest level of care and service which starts by talking to a company representative that knows Mold, not an answering service.